I was in L.A. this past week and did quite a bit of knitting on my Ivy. 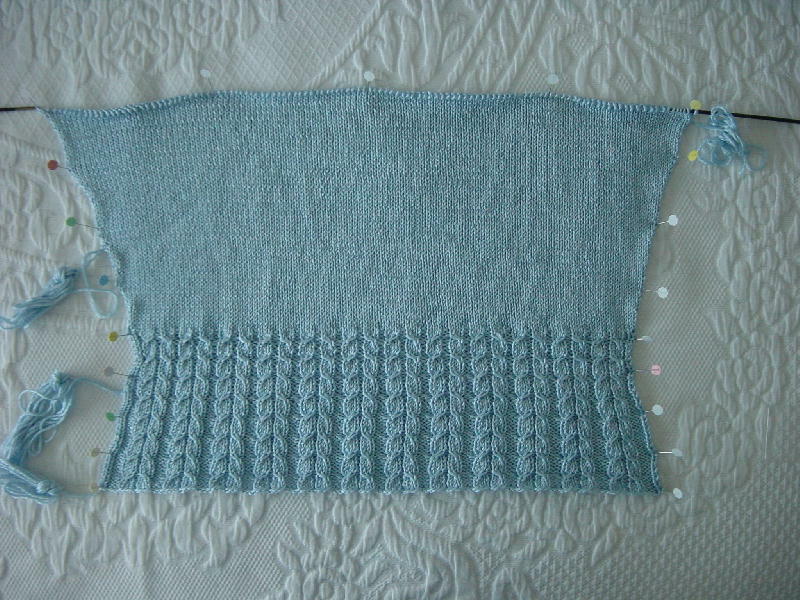 I am now to the decrease part for the armholes. I am liking this yarn (Trendsetters Linie 135) better and better all the time. It is very soft and has a fantastic drape to it. The rayon/viscose adds just enough shimmer to make it a bit dressier than I had originally planned. The bad news is that I found a handbag that perfectly matches the sweater. 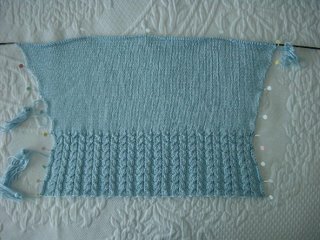 The sweater progress is beautiful! Oh my that handbag is fabulous!